Absence of trust: the fear of being vulnerable with team members prevents trust being built within the team. Fear of conflict: the desire to preserve artificial harmony stifles productive and ideological conflict. It is difficult to overcome these types of dysfunction but, with a minimum of courage and discipline, it is still entirely possible. In this proven program, you will discover how you can make a team more cohesive and effective. You will acquire the tools and mindset to tap into one another’s skills and experience, avoid wasting time on the wrong issues, develop a feedback culture, optimize your meetings, and align and engage everybody around common objectives and values. Patrick Lencioni details the 5 dysfunctions of a team and explains how resolving them is key to building a team that is more cohesive. Some people may be reluctant to show their vulnerability, for example by refusing to admit their mistakes or limitations in front of their colleagues. This is an attitude that, according to Patrick Lencioni, can be toxic for them and for their team as it stands in the way of trust. Let’s try to understand the mechanism at play through an interesting story. A lot of people fear conflict because it’s uncomfortable. They therefore don’t engage in any conflict even though it could be beneficial for the health of the team. Patrick Lencioni goes a step further by explaining how silencing conflict can be dangerous. In this videocast, Patrick Lencioni shows how clarity and buy-in are key to obtaining your team members’ commitment. Patrick Lencioni reveals that one of the major dysfunctions of a team is that colleagues are reluctant to hold one another accountable. He explains why it’s healthy when colleagues can do this and why the leader should set the example. A common problem in companies today is that people are paying attention to the wrong results. They tend to focus on the results of their own sub-group instead of those of the whole organization. Patrick Lencioni explains why it is vital to change this mindset. Patrick Lencioni tells the story of a manager whose behavior destroyed his organization. The story illustrates the importance of showing vulnerability if you want to promote a culture of trust within the organization and ensure its success. Patrick Lencioni explains that one of the key factors that lead a team to success is the trust that is created when every team member is honest about their weaknesses and failures. Discover the virtues of creating a culture where people are open about their vulnerability. Is there a limit to showing your vulnerability to your colleagues? Patrick Lencioni strongly believes that a team works better when its members are honest about their vulnera- bilities. But you may wonder if there should be a limit to this and if it can go too far. Here is Patrick Lencioni’s answer. For Patrick Lencioni, there is no doubt that conflict within a team can be healthy. In this videocast, he lists the major dangers of not having enough conflict in a team, and explains why this can lead to a lack of engagement among the participants. Patrick Lencioni reveals that we tend to avoid engaging in conflicts at work in order to spare our colleagues’ feelings, but this often ends up in a worse situation than the one we are trying to avoid. Discover why conflicts can actually be healthy. Conflicts can sometimes have a destructive effect on a team. Is that a reason to avoid them altogether or to soften your approach? Patrick Lencioni explains why you should not be afraid to step over the line. Not everyone is comfortable with conflict, especially if they come from a risk-averse culture. Nevertheless, dealing well with conflict is key to the good performance of a team. Patrick Lencioni gives some tips on how to encourage these people to engage in conflict despite their reluctance. Patrick Lencioni is convinced that conflict is healthy for a team. Nevertheless, not everybody sees things the same way, as each of us is influenced by our own history and culture. Here are Patrick Lencioni’s recommendations on how we can reconcile the different approaches to conflict. Patrick Lencioni shares a checklist of items for resolving a conflict. We all experience difficulties with some of our colleagues and tend to make hasty judgments on why we have problems with them. Patrick Lencioni explains why it’s important to make the effort and spend time trying to understand their personalities if you want to interact better with them. We have all experienced boring meetings. How can we ensure we are not responsible for holding a boring meeting ourselves? Discover with Patrick Lencioni why you need to hook your audience at the very beginning of each meeting. Meetings can be confusing because all too often too many subjects are brought to the table. Patrick Lencioni suggests a method to divide meetings into different types in order to create more clarity for the attendees and therefore get more things done. The way you end your team meetings is crucial if you want to avoid problems later and make sure that the decisions made are properly implemented. Patrick Lencioni shares his tips on how you can ensure that everyone leaves the meeting fully aware of what has been agreed and ready to communicate it. After a meeting, people often think they are on the same page when this is not necessarily the case. This can cause problems when they cascade what they think they have agreed on. Patrick Lencioni shares some tips on how to end each meeting to avoid this kind of problem. Just because you are dealing with people who have more expertise and knowledge than you doesn’t mean that you can’t challenge them or give them some input into how they do their work. Not doing so would deprive them of fresh ideas and a new perspective that they might be unaware of. Discover with Patrick Lencioni the best way to suggest improvements. When should you criticize your colleagues in public? Patrick Lencioni qualifies the old adage “Praise in public, criticize in private.” He explains in which circumstances criticizing in public has its benefits. 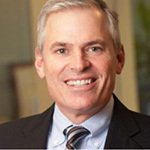 Patrick Lencioni explains the differences between what he calls performance accountability and behavioral accountability. Discover why leaders should have the courage to be honest with their colleagues about behavior that can lead to performance problems. Companies often focus their incentivizing efforts on compensation and not enough on recognition. Patrick Lencioni explains why this is a big mistake to make. Through a powerful basketball story, Pat Lencioni reveals that it’s important to recognize when people put their ego before the interests of the team and why this kind of behavior should be prevented. Which team should be your number one team? With virtual and matrix organizations, people are part of several teams and often struggle to know which one to prioritize. Should it be the team they manage, for example, or the leadership team they belong to? Patrick Lencioni shares his wise advice on this tricky question. The values of a company often explain its success. But how do you identify them? Patrick Lencioni shares some tips to help you decide which values your own organization embodies. If you worry that defining your core values will lead you to recruit in a homogeneous way, think again. Patrick Lencioni explains why defining your core values actually facilitates diversity and not the opposite. It’s very easy when you recruit someone to focus on the intelligence and the technical and tactical skills of the candidates and to neglect the rest. Patrick Lencioni reveals why it is crucial to also check if the candidate is a good fit for the core values and culture of the company. What should onboarding focus on? Orientation and onboarding often focus on delivering technical information, but by doing so they are missing the point. Patrick Lencioni explains why the most important thing is to share the values and history of the company. Deciding to fire someone is one of the most difficult decisions a manager will ever have to make. That’s why you need to think long and hard before you come to this decision. Find out with Patrick Lencioni when and how you should let someone go.